Thanks to all who chimed in on the sportube questions I had. I found a used one for a good deal. Does anyone have thoughts on the safest way to pack a slalom into the Series 3? Thanks. I pack lots of clothes life jacket and such around the ski . Goal is to not allow the ski to move around. If it moves that's a cause for concern so shake it. I also put the fin Firkn or whatever its called on the fin. Not only does it protect the fin really well, it protects the tail of the ski. I leave the neo sock on the ski as well. I'd agree that keeping the ski from moving around is the biggest goal. 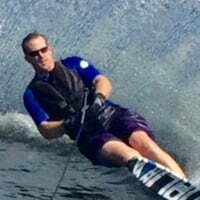 Anyone have a option for a slalom ski and a trick ski (along with any related stuff)? Looks like I'll be doing quite a bit of traveling at least part of the year so I'm looking for "shipping" options. I'll check the baggage with the airline but I'm wondering of there's a better alternative to my 3-event bag. @Kindly Just shipped (UPS) a sport tube and a ML roller bag to FL. In the Sport Tube I packed my slalom ski, my two sons' trick skis, vests, ropes, tools. The UPS option while quite more expensive, avoids the TSA step which could never repack it as i did. to align the holes and resecure it by zipties or hitchpin. I took a labeling machine and printed arrows and stuck them on the outside of the case as guidelines so the TSA could line it back up properly. Marked the correct pin holes as well. No problems with them messing it up........yet. Keep it under 50 lbs so as to not attrach extra baggage charge attention. The Sport tube is not the cure all for damage of your ski! Pulled mine out of the sport tube yesterday here In Australia at Mulwalla and guess what? Tip broken and exploded over 6 inches down the ski. No skiing for me. and Delta is wanting to see the ski within 7 days of the flight to address damage claim. OB hits it right on. My Sport Tube got damaged a few years ago and was probably run over or dropped out of the plane. Had a bent fin. Airline would not pay damage for the ski or the Sport Tube. See pic. @Jody, from what you see of the ski a tube, is there any way the ski could have been packed differently t o avoid this. You may be able to help us sporttube owners not naw on our fingernails for an entire flight..
OB is correct. Since 9/11 it has been nothing but pay cuts, bankruptcies, and concessions. I retired early as a International Widebody Captain because I could make more money in Retirement than continuing to Fly. That was Oct. 08. I imagine it is a whole lot worse now and not getting any better. @OB. Hammer, meet nail. You said it. Flying post 9/11 just keeps getting worse. Been to Okee 3 times this winter & drove everytime. 1260 miles one way, not down the block for sure. @OB well your ski does fly first class when ever you are at the yoke! You have it made. Ok update on slalom ski destruction inside the sport tube. Delta was very gracious and helpful with clear and precise instructions with my claim. They were also sorry about the damage and provided a potential description of how the damage occurred, They said it probably got dropped hard on the ends as the sport tube was crushed in both corners of one end, the end that the tip of the ski resided. So far so good with the claim. I have a Series 3 which has worked well for the last couple years. I fold medium bubble wrap flat, about 4 layers, about 3" thick each end. My 66" Mid is a little too wide so with the bag on it and bindings it sits in firm but not tight on a slight diagonal. Fin protector on there too but nothing else in the tube. I use a TSA lock and so far it has shown up looking just like I packed it. My tube has a red and white sticker that instructs to make sure the lock goes through both holes. Sticker seems like a good idea, very very obvious. Flying out of Seattle I never have a problem with it, they all seem very familiar with skis. Flying out of Miami, PBI or Ft Lauderdale the size has been an issue every time. I carry a print out of thier policy from thier web page with me to show them. Seem every airline has an exemption for sports equipment so oversize goes as a regular bag. I seem to allways be right at 74" outside dimension. Richard, sure. BTW I need an ACJ credit so put me in for that please. Of course whatever else judge & score you need. OB, Your comments make me feel really good especially since I'm diamond with your employer. I used to travel with the Sportube and was always surprised with the damage on it, my impression is that due to its rigid form the airline employees do not take too much care with it, I guess they think it is resistent so they just throw it without any care. The last years I have been traveling with soft cases, which are lighter and looks fragile, do not know if it is just luck but so far so good. I need good motivated people in Johannesburg and Durban as we speak. The pay is good, but man the travel is tough from here. I know for sure. Here is a copy of the the e-mail i received this morning from expressjet concerning the claim on my destroyed ski. Here We Go! We are in receipt of your correspondence received in our office on March 20, 2012. We look forward to working with you to resolve this matter and you can expect to receive a substantive response and/or settlement from our office within 4-6 weeks. We have worked hard to improve our response time on mishandled baggage claims and our goal is to do better than the timeline outlined above. If this claim is for a damaged bag or damaged contents, please retain the bag and/or contents until the claim has been settled. Please accept our apology for the service failure you have experienced and we will attempt to resolve this in a timely manner. Your continued patience during this process is appreciated. Just got a shipment of replacement parts from SportTube. New handles, wheels and axel. Have to say they were easy to order on line, shipped quick, very reasonably priced and were easy to instal with some basic tools. theres another way to deal with an airline that wrecks your property and then wont pay for the damage they did.